Explore the numerous day-trip ideas around Tokyo: Tokyo Disneyland (in Urayasu) and Kotoku-in (Great Buddha of Kamakura) (in Kamakura). There's lots more to do: make a trip to Meiji Jingu Shrine, contemplate in the serene atmosphere at Senso-ji Temple, admire the landmark architecture of Tokyo Tower, and appreciate the extensive heritage of Imperial Palace. To find ratings, photos, more things to do, and more tourist information, read Tokyo trip builder website . Chicago, USA to Tokyo is an approximately 15.5-hour flight. You can also do a combination of flight and train; or do a combination of train and flight. Due to the time zone difference, you'll lose 15 hours traveling from Chicago to Tokyo. Expect somewhat warmer evenings in Tokyo when traveling from Chicago in September, with lows around 69°F. Cap off your sightseeing on the 7th (Fri) early enough to go by car to Hakone-machi. Sitting at the foot of Mount Fuji, Hakone-machi has become a popular retreat from Tokyo for locals and tourists alike. Go for a jaunt from Hakone-machi to Atami to see Kiunkaku about 44 minutes away. The adventure continues: admire the masterpieces at The Hakone Open-Air Museum, contemplate the waterfront views at Lake Ashi (Ashinoko), take some stellar pictures from Hakone Ropeway, and contemplate the long history of Hakone Shrine / Kuzuryu Shrine Singu. To see where to stay, photos, reviews, and more tourist information, you can read our Hakone-machi online trip maker . You can drive from Tokyo to Hakone-machi in 1.5 hours. Other options are to take a train; or take a bus. Traveling from Tokyo in September, expect nights in Hakone-machi to be about the same, around 67°F, while days are little chillier, around 70°F. Wrap up your sightseeing on the 10th (Mon) early enough to travel to Kyoto. Change things up with these side-trips from Kyoto: Todai-ji Temple (in Nara) and Osaka (Universal Studios Japan, Osaka Aquarium Kaiyukan, & more). There's still lots to do: contemplate in the serene atmosphere at Kiyomizu-dera Temple, take in the pleasant sights at Arashiyama, take a stroll through Gion, and get engrossed in the history at Kyoto Museum of Traditional Crafts Fureaikan. To find reviews, maps, photos, and more tourist information, you can read our Kyoto route website . Take a train from Hakone-machi to Kyoto in 4 hours. Alternatively, you can drive; or do a combination of train and flight. When traveling from Hakone-machi in September, plan for somewhat warmer days and about the same nights in Kyoto: temperatures range from 83°F by day to 68°F at night. Finish your sightseeing early on the 16th (Sun) to allow enough time to take a train to Himeji. 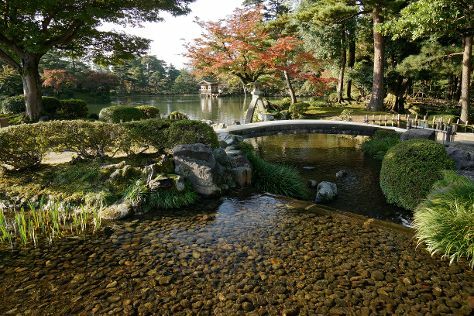 Start off your visit on the 17th (Mon): don't miss a visit to Shoshazan Engyoji, then admire the natural beauty at Kokoen Garden, then explore the historical opulence of Himeji Castle, and finally make a trip to Otemae Street. To find out how to plan a trip to Himeji, use our trip itinerary maker. You can take a train from Kyoto to Himeji in an hour. Another option is to drive. In September in Himeji, expect temperatures between 80°F during the day and 73°F at night. Wrap up your sightseeing on the 17th (Mon) early enough to take a train to Hatsukaichi. Kick off your visit on the 18th (Tue): don't miss a visit to Itsukushima Shrine Torii, then step off the mainland to explore Miyajima, and then take in the spiritual surroundings of Itsukushima Shrine. On the 19th (Wed), you'll have a packed day of sightseeing: examine the collection at Hiroshima Peace Memorial Museum, pause for some photo ops at Atomic Bomb Dome, then pause for some photo ops at Children's Peace Monument, and finally make a trip to Hiroshima Peace Memorial Park. To see more things to do, maps, other places to visit, and tourist information, go to the Hatsukaichi itinerary builder site . Getting from Himeji to Hatsukaichi by train takes about 2 hours. Other options: drive. Expect a daytime high around 81°F in September, and nighttime lows around 69°F. Finish up your sightseeing early on the 19th (Wed) so you can catch the train to Nagasaki. The hilly port city of Nagasaki has become known internationally as one of the two Japanese cities to be destroyed by an atomic bomb towards the close of World War II. On the 20th (Thu), take your sightseeing to a higher altitude at Mt. Inasa, stroll through Nagasaki Peace Park, get engrossed in the history at Nagasaki Atomic Bomb Museum, then appreciate the history behind Nagasaki Peace Memorial Hall for the Atomic Bomb Victims, and finally snap pictures at Megane Bridge. Here are some ideas for day two: admire nature's wide array of creatures at Nagasaki Bio Park, then step off the mainland to explore Hashima Island, and then take in nature's colorful creations at Glover Garden. To see traveler tips, ratings, maps, and tourist information, go to the Nagasaki trip planner. Traveling by train from Hatsukaichi to Nagasaki takes 4 hours. Alternatively, you can do a combination of train and bus; or drive. In September, daytime highs in Nagasaki are 82°F, while nighttime lows are 71°F. Wrap up your sightseeing on the 21st (Fri) to allow time to travel to Onna-son. Located on the coast in the middle of the island, Onna-son has become known for its beaches and seaside economy. Explore the numerous day-trip ideas around Onna-son: Nirai Beach (in Yomitan-son), Naha (Makishi Public Market, Kokusaidori, & more) and Motobu-cho (Emerald Beach & Okinawa Churaumi Aquarium). The adventure continues: tour the pleasant surroundings at Okuma Beach, don't miss a visit to Kouri Bridge, and enjoy the sand and surf at Kariyushi Beach. To find ratings, other places to visit, reviews, and tourist information, use the Onna-son trip planner . Getting from Nagasaki to Onna-son by combination of train, taxi, and flight takes about 4.5 hours. Other options: do a combination of train, flight, and taxi; or do a combination of train, ferry, and taxi. In September in Onna-son, expect temperatures between 87°F during the day and 76°F at night. Cap off your sightseeing on the 25th (Tue) early enough to travel to Kanazawa. Start off your visit on the 26th (Wed): cruise along Chirihama Nagisa Driveway, admire the landmark architecture of Kanazawa Station, don't miss a visit to Omicho Market, then take a stroll through Higashichaya Old Town, and finally admire the masterpieces at 21st Century Museum of Contemporary Art. Keep things going the next day: don't miss a visit to Seisonkaku Villa, tour the pleasant surroundings at Kanazawa Castle Park, take in nature's colorful creations at Kenrokuen Garden, then step into the grandiose world of Kanazawa Castle, and finally steep yourself in history at Nomura Family Samurai House. To see photos, other places to visit, where to stay, and other tourist information, go to the Kanazawa online day trip planner . You can do a combination of taxi, flight, and train from Onna-son to Kanazawa in 5 hours. Alternatively, you can do a combination of taxi, flight, bus, and train; or do a combination of taxi, ferry, and train. Prepare for little chillier weather when traveling from Onna-son in September: high temperatures in Kanazawa hover around 78°F and lows are around 65°F. Finish your sightseeing early on the 27th (Thu) so you can travel to Sapporo. Explore Sapporo's surroundings by going to Jigokudani (in Noboribetsu) and Otaru Canal (in Otaru). The adventure continues: stroll through Odori Park, ponder the world of politics at Former Hokkaido Government Office Building, enjoy the scholastic atmosphere at Hokkaido University Sapporo Campus, and wander the streets of Susukino. To see traveler tips and other tourist information, use the Sapporo trip planner. Traveling by combination of train and flight from Kanazawa to Sapporo takes 4 hours. Alternatively, you can do a combination of train, taxi, and flight; or take a train. When traveling from Kanazawa in September, plan for little chillier days and about the same nights in Sapporo: temperatures range from 68°F by day to 63°F at night. Finish up your sightseeing early on the 1st (Mon) so you can travel back home.